Corporate Accounts » Sarasota Yellow Cab of Sarasota, serving your need for taxi, van, medical transport, limo - Need a cab, taxi, cab, wheelchair van, party van call Yellow Cab of Sarasota today! Corporate accounts can be set up easily.  Yellow Cab of Sarasota can offer you all of our services, cab/taxi, vans,handicapped vans, and sedans service. We are happy to service you clients, family and friends anytime anywhere. After each month you will receive an itemized monthly invoice. Your statement will include the dates, time and location of each fare. We also will do delivery of packages for you as well. We will be happy to send these statements by mail, or email. Please call us today at 941.955.3341 so we can get your account set up for you to use our services soon. Please let us know when you are ready to create a corporate account. We are happy to come to your office or home to get this set up and running as soon as you are ready. Create a corporate account today, we are here to serve you when you are ready.